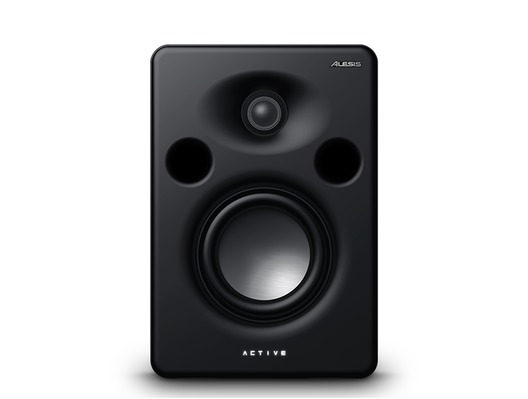 Alesis M1 Active MK3 Premium 5" Active Studio Monitors are an ideal monitoring solution for your home or professional studio. 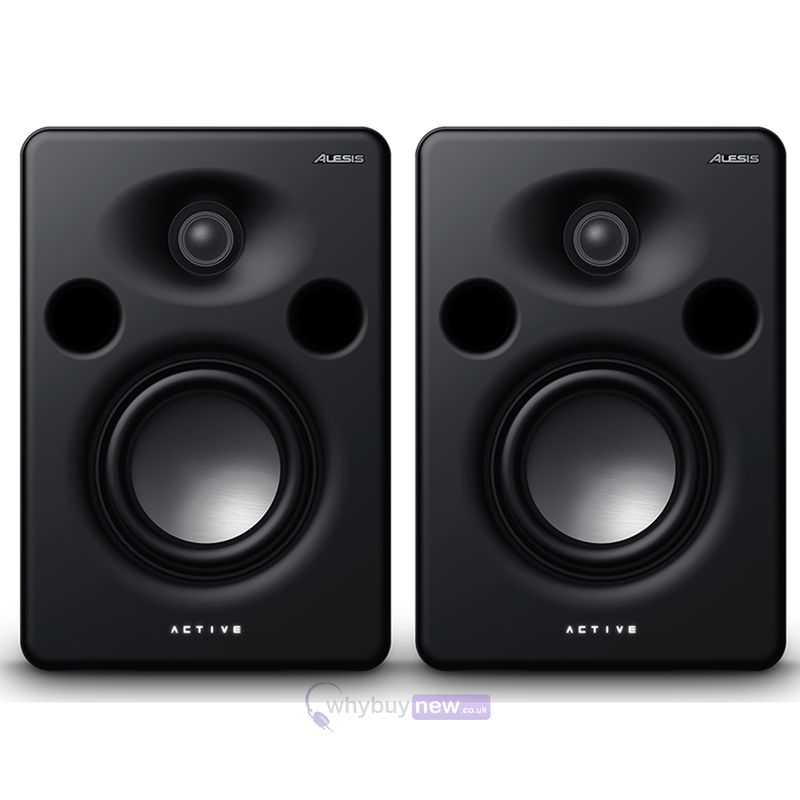 These monitor speakers feature a 65W bi-amplified design for a powerful, accurate sound. 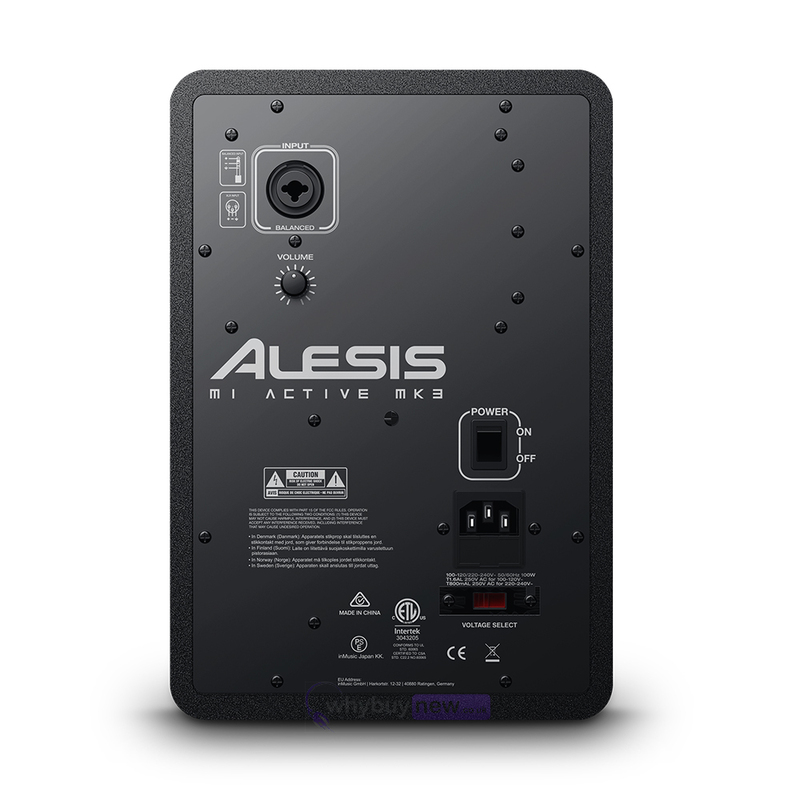 Over the span of more than a decade, Alesis monitors have established an enviable, well-deserved reputation for accuracy and dependability that made them an excellent choice for professional use. The original best-selling M1 monitors were perfect for almost any situation. 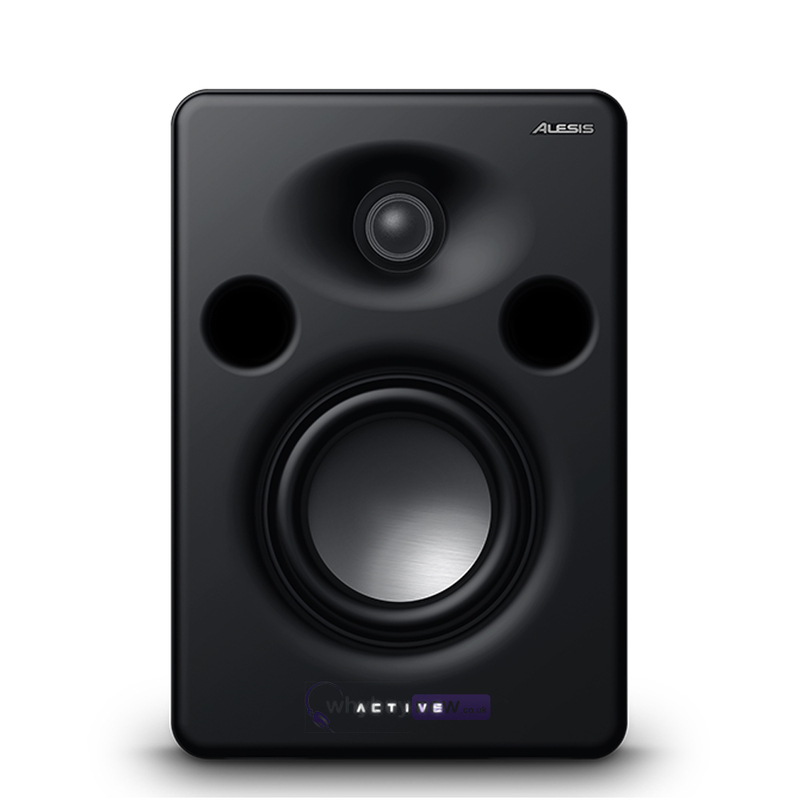 The latest generation, the M1 Active MK3, features advancements in studio monitor technology that bring the Alesis M1 series to a whole new level of legendary unmatched professional sound. The M1 Active MK3 studio monitor utilizes a beautiful new 5-inch aluminum woofer that is lighter and stiffer than typical carbon-fibre, paper or glass-Aramid woofers, giving the MK3 an even faster transient attack and more linear response through the bass and midrange. Additionally, a precision-designed waveguide provides high-frequency dispersion in a well-controlled, predictable pattern. This ensures a widened listening "sweet spot" - even well to the side ("off axis") of the speaker - while at the same time preventing random scattering of the sound. The smoothly radiused "aerodynamic" cabinet edge prevents objectionably -audible artifacts from edge diffraction and the flared front-firing bass ports eliminate distracting port turbulence from the speaker's bass output. With M1 Active MK3 studio monitors, you can listen, mix, and create with complete confidence that you'll get the most accurate sound. The M1 Active MK3 monitors feature a wide frequency response (from 55-22 kHz, ±3dB), so you can hear all the music with the lifelike realism demanded by today's music. The M1 Active MK3 also features a Class A/B 45-watt LF amplifier/20-watt HF amplifier for smooth, "gutsy" performance and generous headroom compared to ordinary "digital" amplifiers. Additionally, the balanced XLR+1/4" combo input allows for complete hookup flexibility for all of your favorite studio equipment. Here we have the Alesis M1 Active MK3 in brand new condition and in B-Stock. The B-Stock versions would have been on display at a training evening or trade exhibition only and will come boxed 'as new' with all accessories and a 1-year warranty.